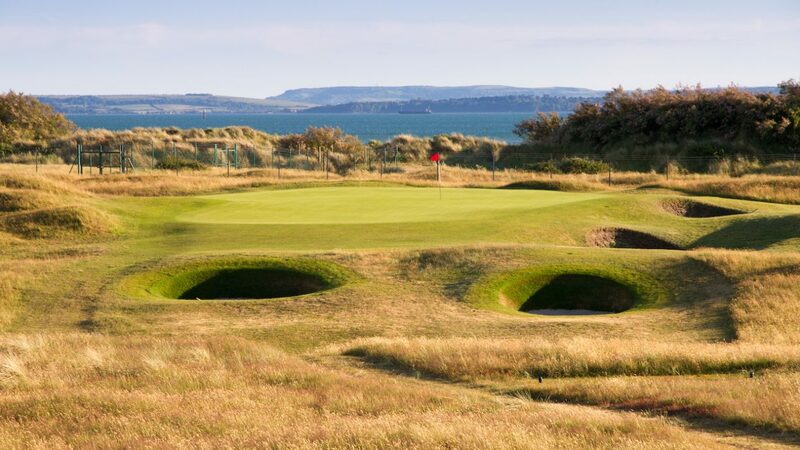 Enjoying spectacular sea views of the Solent and Langstone Harbour, Hayling Golf Club is the premier links golf course on the South Coast. Originally established in 1883 the course has been crafted by some of the best golf course architects in the business with the renowned Tom Simpson having the last input in the 1940’s. His work has stood the test of time and at just over 6,500 yards Hayling remains a championship golf course to test the best. The club has been proud to host many national championships over the years including several Ladies English Amateur Championships as well as the English Golf Union Men’s, Logan Trophy. It is due to host its next Championship event in 2021. A modern art-deco style clubhouse provides a haven to enjoy the panoramic views of the course and coastline from the Restaurant and Bars. The stunning location and the challenging links course with its fine greens, offers a special attraction and a unique experience for all. The course’s testing qualities will provide a memorable talking point to all visiting golfers, both individuals as well as golfing societies, as will its superb catering and friendly atmosphere. The design, location and facilities on offer make it a unique and beautiful location to host private events such as business conferences, weddings and parties which can all take advantage of the stunning views. Our aim is to ensure that anyone visiting the Club has an enjoyable, unique and memorable experience. The Clubhouse Team along with Mark Treleaven, Club Professional and his staff, are always on hand to help. Hayling Golf Club extends a warm welcome to visitors and societies and trusts you will enjoy the unique golfing experience and the bright and friendly service. Hayling is not a beginners course which is why the club ask that all players have valid handicaps in order that they will enjoy the golf test in front of them. Hayling are not an overly formal club but we do insist on basic standards of golf attire. We recommend calling the Pro Shop beforehand who will advise you on suitable times to play. Hayling do not operate a tee-booking system for casual golf and thus you will beadvised a time ‘window’ and on the day the Pro Shop will provide more specific guidance. See website www.haylinggolf.co.uk for directions. From £60 for both weekdays and weekends. Buggies for hire, two outdoor nets, two putting greens, one of which can be used for chip and run (not lob shots), a short outdoor driving range with all-weather surface (own balls required) close to the first tee, a practice bunker and room hire.